In the North-West corner of the Jaffna Peninsula close to the causeway to Karainagar Island is the small village of Moolai. It is a patch of land connecting the causeway to Karainagar with its famous Casuarina Beach, and Vaddukoddai with its famous school Jaffna College. Moolai would have been quite unknown but for its own famous Moolai Cooperative Hospital. A hospital founded in 1935 by returning Tamil Diaspora funded by their savings and pensions earned administering British Malaya. The hospital started in 1935 with just one doctor and two apothecaries (pharmacists). All three were pensioners back from Malaya who gave their services free of charge. By 1949 the hospital had 59 staff, including 3 doctors and 8 apothecaries. By 1970 there were 122 paid staff including 5 doctors, 10 apothecaries and 42 nurses. Since the end of the war in 2009 there are now 2 permanent doctors, 1 apothecary and 12 nurses. 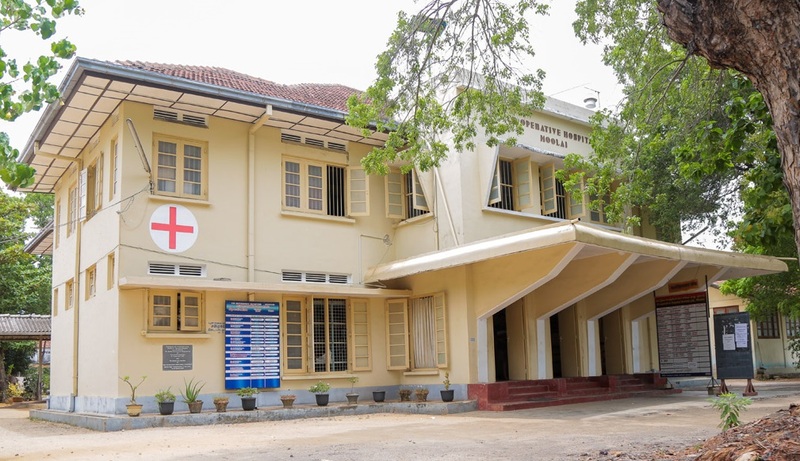 In addition specialist doctors, including eye; dermatologist; dental; cardiologist, make evening visits after their shifts at the main Jaffna Teaching Hospital. Ideally some of these specialists would be based permanently in Moolai, were sufficient funds available. The hospital currently provides employment for a total 45 individuals making an important contribution to the local economy. And it is a beacon of the potential of high value services in an otherwise simple community. The fighting reached a peak intensity in 1995 resulting in the hospital being abandoned. A former Chairman of the Moolai Hospital, Mr.M.Retnasingham, said “When some of us returned to inspect the state of the hospital in 1996, we found it badly damaged by shelling and bombing. The place was also looted, and almost all the equipment and furniture were missing”. 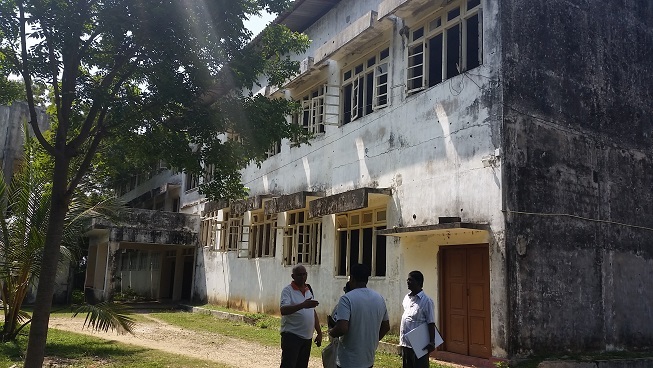 The reconstruction of the Moolai Hospital started in earnest from 2003 and continued during the 2002-2007 ceasefire agreed between the LTTE and the Sri Lankan Government. In this period funds poured in from Sri Lankan and Diaspora organisations and individuals particularly those in the USA, Canada, Australia and the UK. Invaluable financial support was also provided by the British, Dutch and the USA governments. The Sri Lankan Government too made a significant financial contribution. As a result the hospital was able to restart Cardiology, Eye, Dental, Diabetes, Paediatric and Maternity Clinics. A clinical laboratory, an X-ray unit, operating theatre and an ambulance service were also setup. The revival of the hospital was held up by the restart of hostilities in 2007 until the war ended in 2009 with the defeat of the LTTE. Since the end of the war, the hospital has received generous support from individuals and organisations both overseas and in Sri Lanka. One of these donors, Dr.S.Rajasunderam a GP from Kent in the UK, conducted a review of the hospital in 2016. 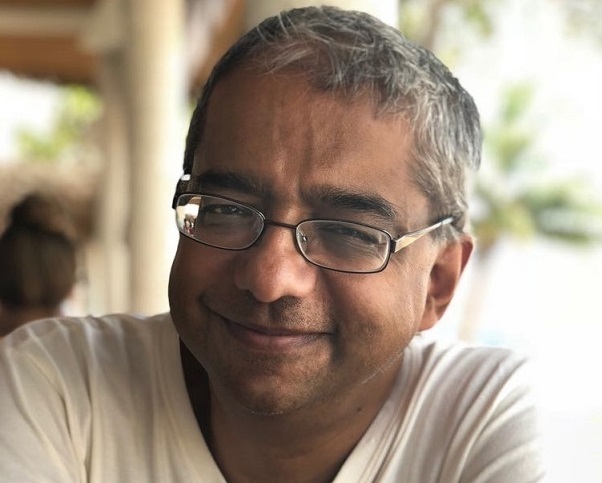 Here he observed that a fully functioning hospital at Moolai would offer services to up to 180,000 people, providing primary care that would remove the need for many of them to travel 10 miles to the Jaffna Teaching Hospital. Thus not only providing improved care locally, but also taking the pressure off the already overcrowded Teaching Hospital. 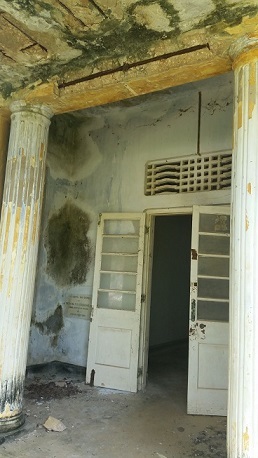 Rajasunderam commented that the sheer cost in time and money of the trip from Moolai to the Jaffna Teaching Hospital means many don’t get their ailments treated at all, resulting in more severe consequences. He stated “The journey is costly as much as Rs2,000[=£10] on average, when a man’s daily wage is as little as Rs1,000[=£5] daily, via poorly maintained roads, taking as long 60 to 90mins which can sometimes make the difference between life and death for many kids, and pregnant mothers eg. in labour with hardly any ante-natal care, Diabetic Ketoacidosis, which is still common due to poorly controlled Diabetes Mellitus, CHD, CVA, Head injury victims, Snake bite victims etc. Hence the need for modern ambulances, which is not available. This will no doubt be life saving, safer, quicker journey by ambulances with resuscitation commenced on the way”. As well as clinical services, the hospital provides geriatric care including long term residential care for 20 elders. At Rs50,000 (Rs55,000 if funded from overseas) per month for full service including meals, medical attention and rooms with ensuite bathrooms, the hospital aims to make this as accessible as possible for the local community. A new extension is now being built, funded by donations, to extend this accommodation for elders further. A three phase plan to renovate Moolai Hospital is currently in action. Phase 1, renovating the main building as a outpatient clinic and revitalising Gynaecological, Ante-Natal and Paediatric clinics, is complete. The inauguration of Phase 1 is happening at the hospital on 19th January 2018. The next two phases still require additional funding to reach the estimated budget of US$1 million. Phase 2 will create a Surgical Complex, including operating theatres, pre and post operation patient areas, and an Intensive Care Unit. Phase 3 will renovate staff quarters, the parking area, and pathways in the hospital complex. The hospital has more to do even beyond these three phases. Upgrading its Laboratory Services, providing rehabilitation and palliative care, and setting up a sub-fertility clinic. These are all areas the State Sector, with its own pressures and funding constraints, struggles to provide. To maximise its impact on community health, the hospital would also like to setup satellite clinics in the surrounding villages. Providing pre-emptive care, dealing with illness at an earlier stage before it becomes serious for the individual or spreads to the community. The Moolai Hospital isn’t only trying to recapture its past glory. It is looking forward to the latest technologies, and by doing so is supporting Northern enterprise. Arogya.life, a software company based in Jaffna (https://arogya.life/), developed a hospital management system which it is installing at Moolai. This system is also successfully installed at the Hemas Hospitals, a leading health provider in Colombo, showing that Jaffna has the ability to compete head-to-head with IT companies in the capital city. 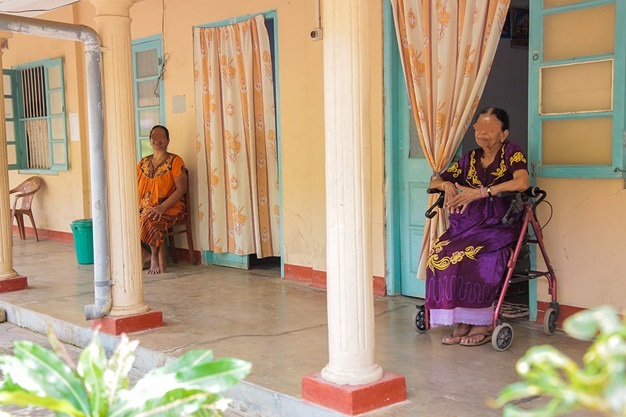 Moolai Cooperative Hospital has travelled a traumatic journey. From its altruistic birth in 1936 via its destruction during the Sri Lankan Civil War, it is now undergoing a rebirth. My late father, who would have been 6 years old at the time, used to tell us how his mother took them once a year by bullock cart from their home in Colombuthurai to her paddy fields in Velanai. A joyful full day trip, doubtless taking longer due to the rutty roads the bullock had to cope with. Moolai Hospital when it was founded was accessible to those within just a few miles. Nowadays, with cars buses scooters and trishaws travelling on good roads, Moolai is accessible to a much larger population from the whole Jaffna Peninsula. As a center of excellence in the North, Moolai Hospital can provide vital health services to an underserved region of the country. It can be an example of how high quality, high value services can be provided from the North, encouraging further investment in other ventures. And it can be an incubator for the development of new top class products and services created in the North such as the Arogya.life systems. For these and other reasons, Moolai Cooperative Hospital deserves applause and support.